OS X Mavericks is slow and having high CPU usage, usually points toward some software related issue rather than hardware issue. Extra points are here for OS X Mavericks as we have already discussed the topics – Tips To Keep Mac, MacBook Pro Faster and Fixing MacBook Slow Startup and Slow Shutdown. May be, the older version’s some tricks might work for you too – Fix Mountain Lion Slow Shut Down Time. There are at least three complains of having OS X Mavericks is slow among our readers, may be the number is the tip of the iceberg. So, this is a kind of handy guide for all of the readers might facing it or accepted the slowness. OS X Mavericks Slow : Things We Never Said! There are two important softwares which are quite useful and widely used on the Mac world. 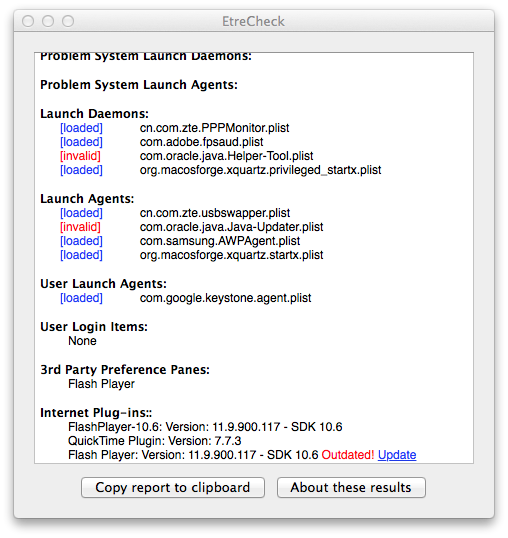 Both are Freewares and standalone programs – One is EtreCheck and second one is MacTracker. The first one is to check software issues (although it can ultimately point out some hardware failures) and second one is for tracing which Mac you are using. Such kind of encyclopedia like details is difficult to get using any default application. Software incompatibility can render any OS to go quite slower. The article Compatibility of Hardware and Software was written not for-nothing. Of course, your Mac will require at least 4 GB of RAM – we recommend the exact double of the official minimum need, this itself can avoid the issue – My OS X Mavericks Slow. Another important software we have by default is – Activity Monitor. We should try to avoid hugely resource eating softwares. These softwares are usually related to networking (including bundled softwares for USB Modem) and antivirus. Antivirus, honestly never required to be on for Live scanning for UNIX and try to avoid them. It can happen that, you have uninstalled some app but some parts are remaining. Mac uses a different system to ‘install’ app and uninstalling all parts can be quite difficult. Searching with an invalid, uninstalled App name on Finder, then clicking the (+) sign reveals two drop-down options with “is” in between. Move the should not be an existent part of application to Trash (do not delete fully – you might need to restore) can help you a lot, still try to find topics on Apple Discussions or ask there before performing so – if you are not sure what you are going to do. If nothing works, try to create another user profile to check the speed, of course if you have installed something that affects all the users, obviously you can not expect that much improvement. The practical solution will be to clean install OS X Mavericks. We recommend to go for clean install if you have 3 or more Major OS Upgrades (10.6 to 10.8 and then to 10.9 – common for Mid 2012 MBP users) and facing a too slowness. One clean install can show up some underlying hardwire issue. This Article Has Been Shared 982 Times! Touch screen is a combined input and output device through which a technical device can be controlled directly by touch.It creates impression of direct control. USB Micro Keyboard for Laptop can be a good option both for increasing the ergonomics or a cheaper Replacement Keyboard for non functioning Keyboard of Laptop. Sound Forge Pro Mac is basically an advanced sound software like its brother for Windows. Audio processing quality is superb and it its fine to listen to music. Cite this article as: Abhishek Ghosh, "OS X Mavericks Slow : Fix Slowness and High CPU Usage," in The Customize Windows, December 10, 2013, April 21, 2019, https://thecustomizewindows.com/2013/12/os-x-mavericks-slow-fix-slowness-high-cpu/.